June 17, 2011 - Visited the City of light after about eleven yrs and have to admit , was completely besotted by the city yet again!! In the afternoon it drizzled, dark clouds hovered in the sky and the sun rays peeked through. Voila!! 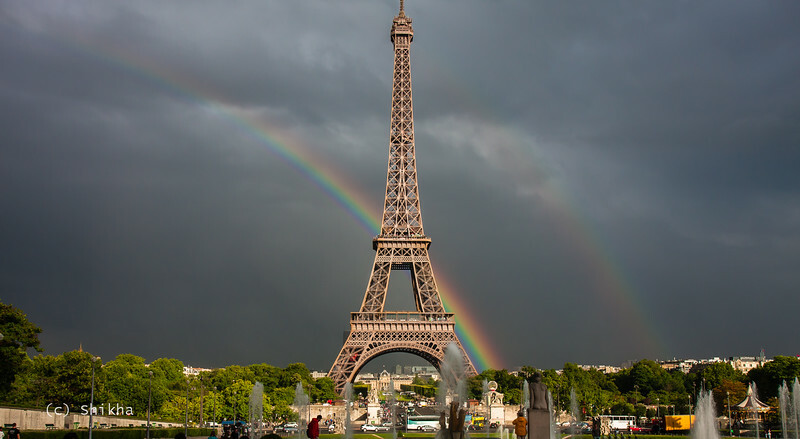 Two beautiful rainbows spanned La Tour Eiffel. What a splendid sight!! 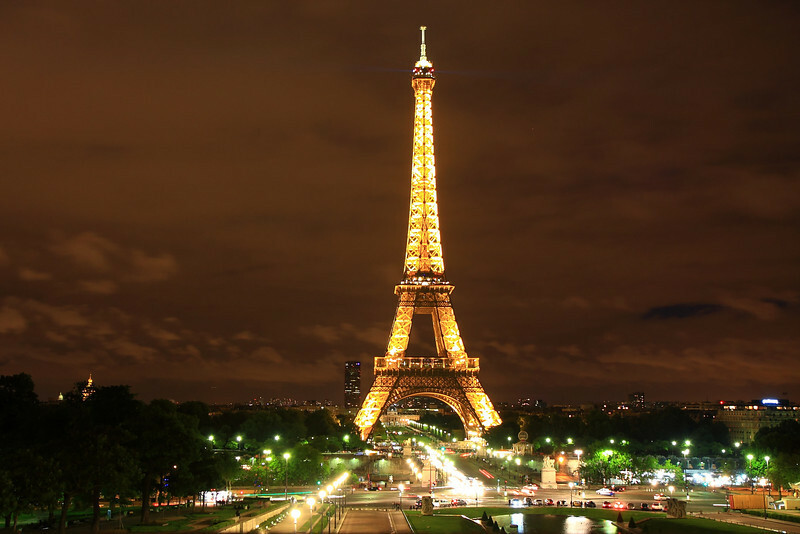 With all those modern sky scrapers in the world, Tour Eiffel still stands tall and proud in its full glory..holds its own and wins the heart of millions across the globe. SCROLL DOWN for more !! Click on the image to view it larger. Did not have the tripod. So rested the camera on concrete, elevated it at an angle by keeping Rick Steve's Paris guide underneath. (Thanks Rick Steves !!) The tower is so bright at night.. it lights up the sky. Only basic processing. No photo shopping.